What is the right instrument for you? 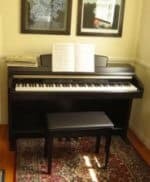 Here is a guide on how to buy piano for the first time. Learn about different types of pianos and piano keyboards, and find your ideal instrument! …take some time to investigate, think and compare! Are you looking for an Acoustic Piano, Digital Piano or Electronic Keyboard? Learn more about the differences, and which one would be the best instrument for learning to play the piano. What Type of Piano are You? The electronic keyboards that are called “keyboards” come in many sizes and prices. They are separate from their stand- which you might want to buy as well, lightweight, portable and relatively inexpensive. Continue reading about the electronic keyboard here. This category is what you should seriously compare with the acoustic pianos (below) when you are planning to get a piano. The digital piano has developed enormously the last 10 years and is great both in quality and sound. What are the best digital pianos? Click here to continue reading. 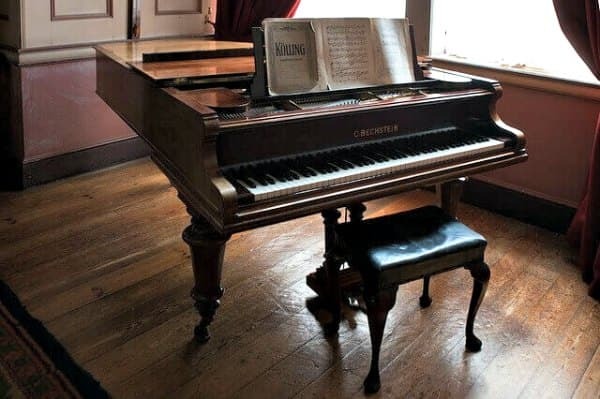 The acoustic pianos also consist of two groups of instruments: the Upright and the Grand Piano. The Upright Piano comes in many sizes, models, piano brands and prices. You can choose between a new or a used instrument when you buy an upright, since quality and good maintenance can make these instruments get even better with the years! The Grand is The Ultimate Piano! Grand pianos are beautiful and often of very good quality. If you are planning to buy a Grand, you should definitely consider also second hand instruments, as there are some really good older ones for great prices that can be found. Continue reading about buying pianos, acoustic upright and grand pianos, here. Sometimes a piano bench is included when you buy piano. But it might be wise to pay some extra for an adjustable padded piano bench instead. Read more about what type of piano bench best suit each type of piano, pianist or venue. 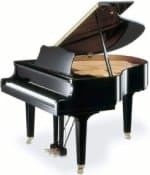 Buying Pianos: Your Guide to Acoustic Upright and Grand Pianos.